THIS IS AN ORDER FOR A SAMPLE OF THIS PRODUCT. If you purchase with Bestlaminate, we will credit you the cost of this sample towards your flooring. Free shipping applies to ONLY THIS SAMPLE, other orders from Bestlaminate are subject to shipping charges. 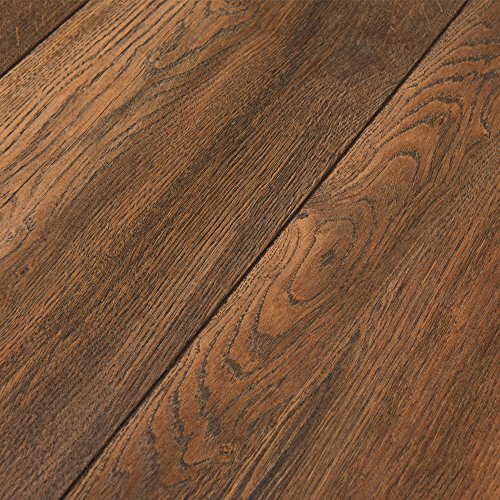 Kronotex Villa Harbour Oak is a gorgeous oak flooring with rustic grains and real wood texture. Contrasting deep browns, reds and tans create a unique pattern that is traditional and elegant. Enjoy the AC5 durability, 12mm construction and ease of installation.